Urban bike users will know the ins and outs of preventing beloved bikes from being stolen, and it generally goes that the bigger and bulkier the bike lock, the more secure the bike. 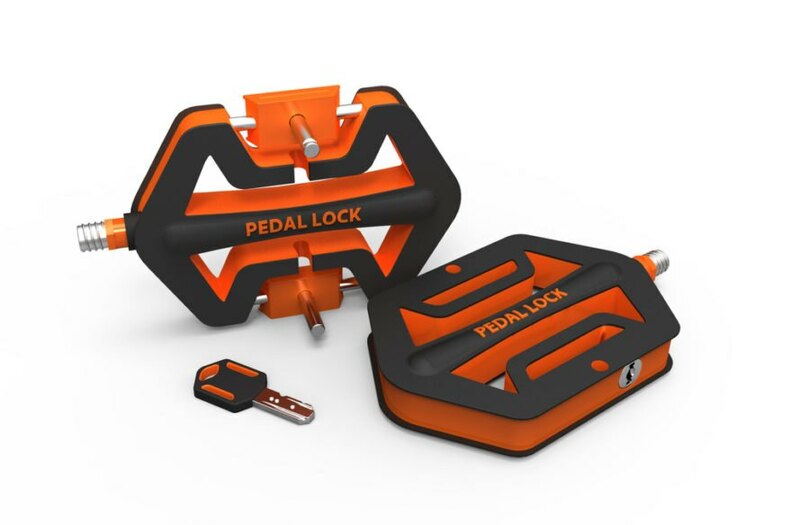 But the new, lightweight Pedal Lock offers a different form of theft deterrence. 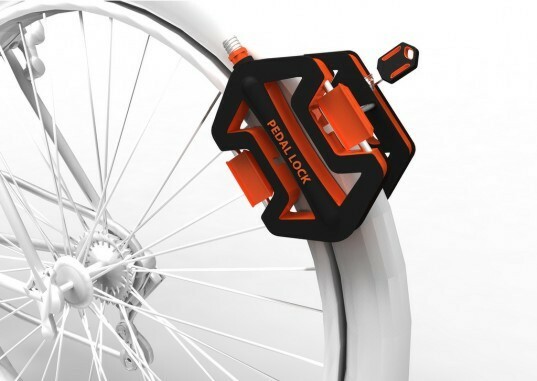 The brain child of designers Cheng-Tsung Feng and Yu-Ting Cheng, this lock also functions as a pedal. So, in order to be broken into, the thief has to break the pedal, which ultimately leaves the bike un-rideable for a quick getaway. Not only do the pedal locks act as a deterrent, but they are light and easy to transport – simply detach them to clamp them around a bike wheel. If you are a cyclist fed up with riding around with an uncomfortable chain wrapped around you, this could be the perfect alternative for you. Urban bike users will know the ins and outs of bike theft and prevention, and it normally goes that the bigger the bike lock, the more secure the bike. But these pedal locks offer a new form of protection. The brain child of designers Cheng-Tsung Feng & Yu-Ting Cheng, the lock doubles a pedal, so in order to be broken into the thief would have to break the pedal, leaving the bike unrideable for a quick getaway. Fantastic idea!